George Moore, a stalwart of the northern racing scene, was due to saddle his final runner today (Friday) in Wolf Shield at Doncaster. Moore bows out of the game with “no regrets”, but admits he is leaving a different sport to the one he joined when he first took out a licence in 1984. 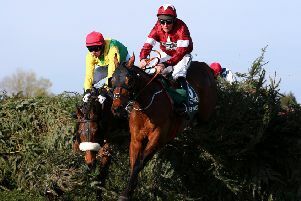 A winner of two Northumberland Plates through Highflying and Toldo, a Finale Juvenile Hurdle with Good Profile and at Royal Ascot through Regal Reform, Moore was as adept at training three-mile chasers as he was handicap sprinters. “There’ll be mixed emotions, that’s for sure,” said Moore, who has put his Warwick Lodge yard in Middleham on the market. “We’ll be staying in Yorkshire as we’ve got grandchildren in Hartlepool and Ripon, but we don’t know where as yet. “We decided three months ago this would be it and the hardest part was telling the owners, as some have supported us for 30 years. “You’ve got to have the horses to make you get up in a morning and we’re slightly down on numbers, I didn’t want it to become a struggle and thankfully it never has been - we’ve always had good payers. When I hear some of the stories of how some owners carry on I don’t know how people survive. “While Moore is still intoxicated by the sport, the state of the northern jumping scene worries him. “The simple fact is that all the rich owners live down south and a lot of very good trainers up here have sadly passed, Gordon Richards, Arthur Stephenson and the Dickinsons.